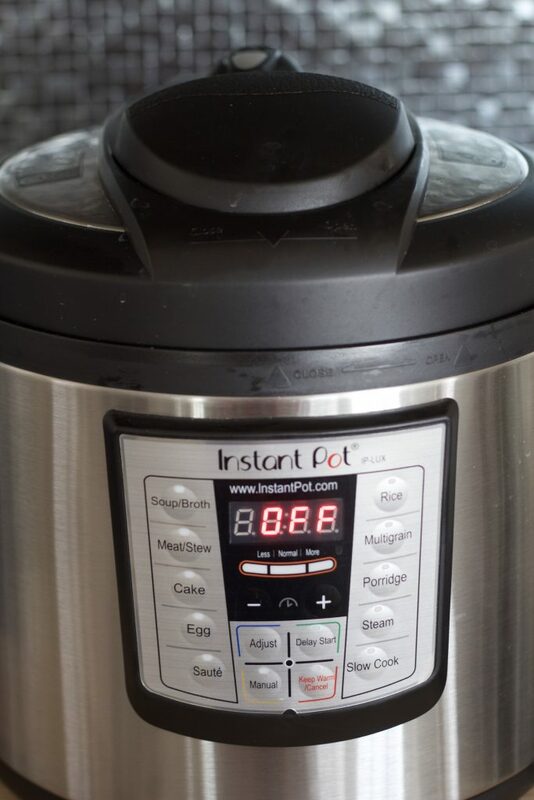 How to Use the Instant Pot or Instant Pot, Now What? Have you heard about the Instant Pot? My “How to Use the Instant Pot or Instant Pot, Now What?” tutorial, review and basic getting started guide will motivate you to start using your Instant Pot! 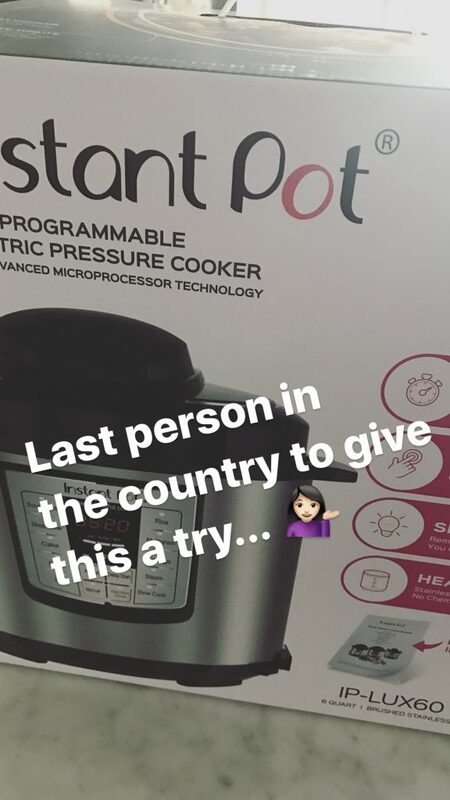 I’ve been posting my IP cooking adventures on Insta stories and have received so many questions about using the Instant Pot. If you have fears or questions, or are just looking for some motivation to use your Instant Pot, you’ve come to the right place! I just got one too, Cant wait to see what recipes you come up with! For real, it scares me! I always use a hot pad and tongs to turn it to vent! I bought one too, this week, but I’m really nervous to use it. Please post what you make and how to use it! I love mine, it’s a game changer! I haven’t tried it yet either! Will you be posting recipes?? Ive wanted to learn how to use the Instant Pot! Now I need an Instant pot because I know your recipes will be the best! Random, but Instant Pots make the best hard boiled eggs! Oh great! Now that you’ve tried it, I’m officially the last person to try Instant Pot! My crockpot just died and I think Im going to get an Instant Pot! I am so afraid of pressure cookers! I was burned by my moms old one in the 1970’s. I’m sacred of mine too! I need to try your recipes! I’m so intimidated by mine. Looking forward to your recipe suggestions for using this pot which sits on the shelf! For real though, I’ve only used it 2-3 times because I’m scared. Got one in December, but haven’t use it yet because I’m kind of afraid! I got mine for a wedding gift over three years ago and just barely started using it because of fear! I think I have resisted buying an Instant Pot for the past couple of years because I was simply afraid. This goes back to my childhood, when my mom cooked with a pressure cooker (the old fangled type) at least 2-3 times a week for as long as I can remember. That dull silver pot sat on top of our stove and the little pressure valve moved from side to side while the pot hissed and bobbled in a very loud way. I remember my mom and dad’s caution to “stay away” and to never, ever touch the lid of the pot or the little pressure regulator, or else… OR ELSE WHAT??? I would think. Thank heavens there wasn’t the internet back in my day, or I’m sure I would have googled “old pressure cooker” or “pressure cooker accidents” and seen people bandaged up in hospital rooms. Oh my. You have been warned. Just don’t go there. Who knows if those people really did experience an unfortunate pressure cooker accident, or if it’s just urban legend, but all of the stories seem to be a friend of a friend connection or third cousin on my grandmother’s half sister’s side relation (except for the one reader comment above). Anyhow. That’s where my fear comes into play, and probably yours as well. Welcome to 2017. The age of electronics and safety regulators and the Instant Pot! Oh, btw, all of the food photographed on this post was made in the Instant Pot! The Instant Pot, in my opinion, is not a quick solution to getting dinner on the table. I mean, I believe the word “instant” is a bit deceiving. I thought Instant Pot would mean quick meals, as in comparable to microwaving quick, but it’s called the Instant Pot, not the Magic Pot for a reason. The pot has a heating up stage, which can take 10 or more minutes. It’s not a plug in and cook type of appliance. To be fair, I think you should add 10-15 minutes on the front end of cooking time to allow the pot to get up to proper temp before it starts cooking and the timer is counting down. Meaning, if you plug the pot in at 5 pm, it will take until about 5:10-5:15 for the cooking time to appear. Then, let’s say you are pressurizing for 35 minutes, after the pot has heated up, with all of your dinner sealed inside of the closed pot, the 35 minute time illuminates and begins counting down. Then there is the cool down or de pressurizing time (see #3). Handy Dandy “do it all” cooking appliance? Lots of people buy the IP as a type of “all in one” type of cooking appliance. I’ve used the Insta Pot to sauté, pressure cook, steam, and cook rice. So far, I’ve been pleased with all of the above. I purchased the 6 Quart Instant Pot. It received 4.6 (out of 5 stars on Amazon and about 4,600 customer reviews). On the back (finish) end of cooking a dish, the Instant Pot isn’t quite finished cooking when the timer goes off. I’ve found to get best results, it’s often best to add another 20 minutes to let the pressure naturally release, instead of using the “quick release” method, which means you need to manually turn the valve to the “venting” position. 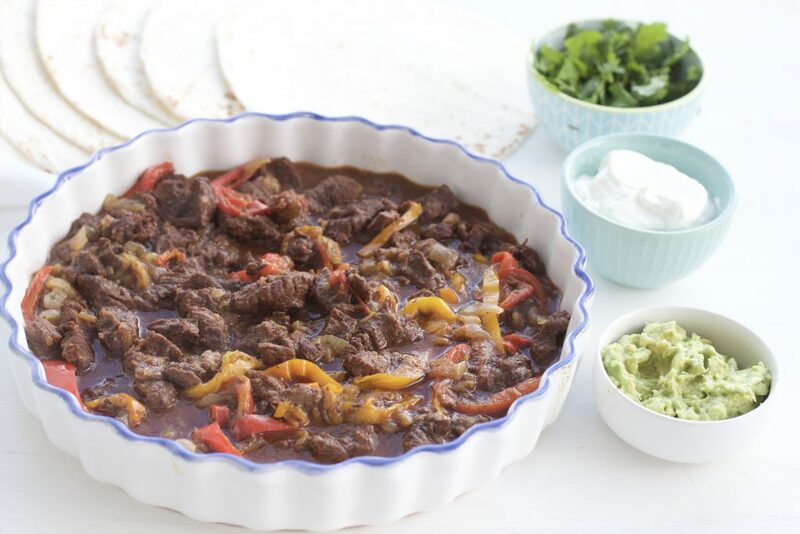 The Instant Pot isn’t a quick dinner solution as much as it speeds up the process of what would otherwise take hours to slow cook or braise in the oven. 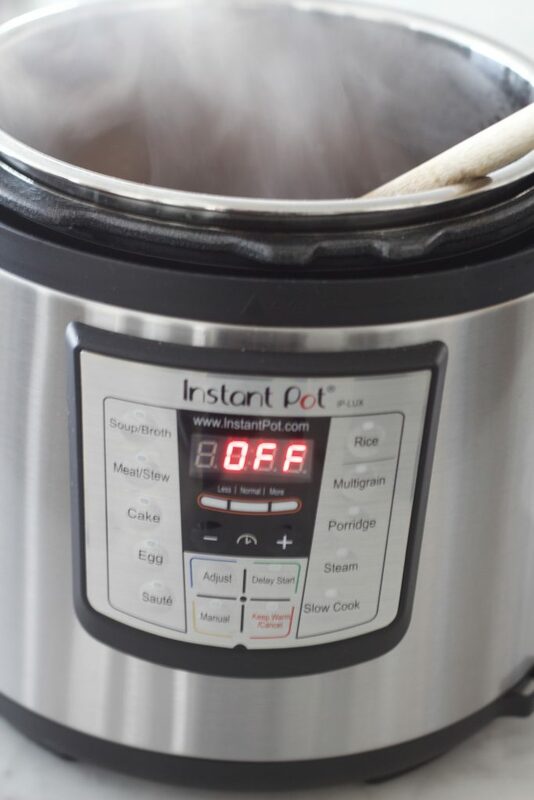 The time to produce fork tender meat in the Instant Pot is about 1 hour total, as opposed to 8 hours using a slow cook method. To me, this is the real value of the Instant Pot. The makers of the Instant Pot do not recommend using the pot for cooking pasta, oatmeal, and applesauce. The manual included with the pot mentioned those foods often foam while cooking under pressure and can cause the pressure release valve to clog. If you’re using the Instant Pot to cook dinner for a gathering such as a dinner party, I suggest using a serving dish on the table, the Instant Pot is many things, but not a pretty serving dish. 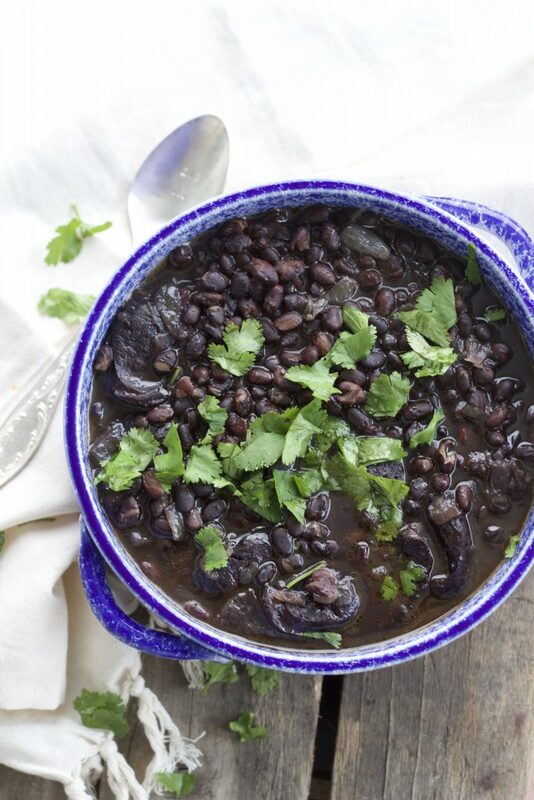 The Instant Pot will keep your food warm for hours. The pot automatically shifts to keep warm mode for 10 hours after cooking. How to use the Instant Pot or Go get the Instant Pot box OUT OF YOUR CLOSET, now. Many of you (too many to count) sent me messages as I documented my first time using the Instant Pot. You confessed that you received an Instant Pot for Christmas and it’s still sitting in your closet, in the box. Go get it out. I’ll wait. Take it out of the wrapping and wash the inner pot, lid and rubber seal. Let them sit to dry while we talk about how you’re going to make dinner in the pot tonight. First, as much as I’d love for you to stay right here with me, and never leave A Bountiful Kitchen, while we learn how to use the IP together, I have to tell you this. You can find recipes for the Instant Pot all over the internet and in your own kitchen. 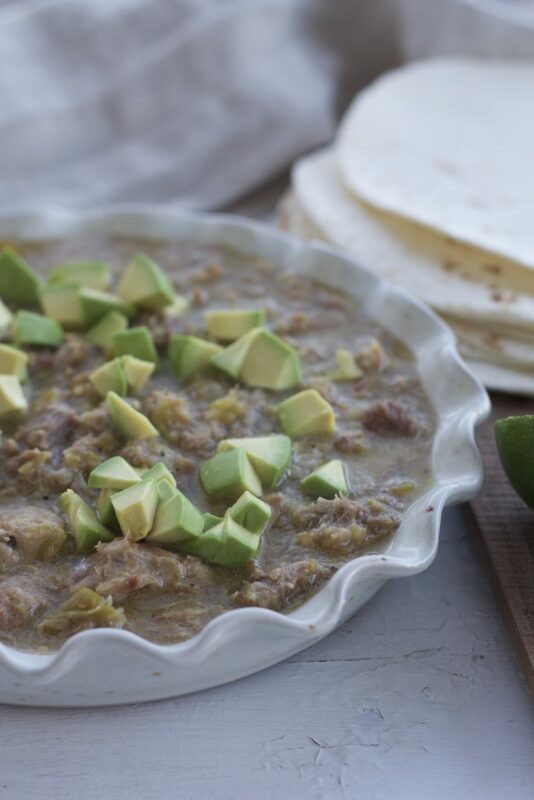 Almost any recipe can be adapted to the Instant Pot. 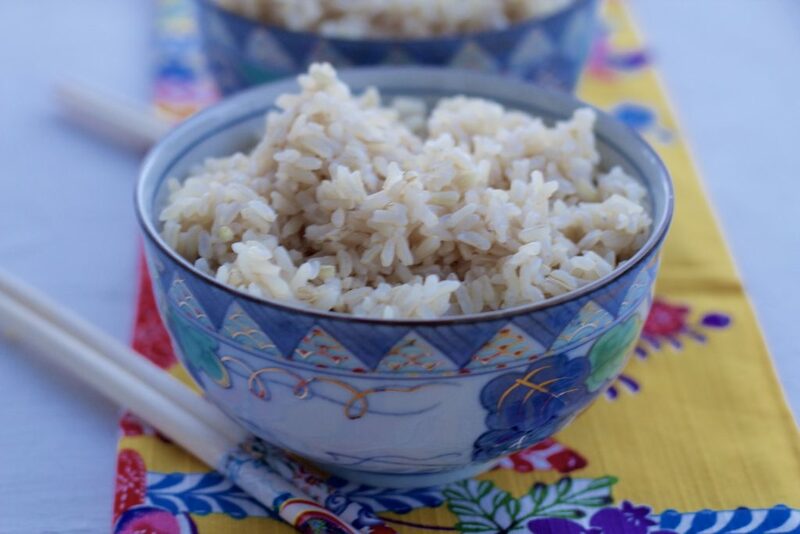 It doesn’t have to be an Instant Pot recipe. A few of my favorites which will be perfect in The Pot are: Chili and Brats, Slow Cooked Beef with Apple Cider BBQ Sauce, Family Favorite Pot Roast to name a few… over the next few months I’ll be experimenting and adding instant Pot recipes or directions to adapt recipes I have already posted. Always make sure to place the pot away from your cabinets. Steam rises rapidly and sometimes spurts a bit, and you don’t want to give your cabinets a steam bath. Or maybe you do? If so, leave the pot plugged in right under your cabinets (joking, of course). I like to place my Instant Pot on top of a wood cutting board on my range. I have a stainless cover for my griddle, so I place the pot on top so I can turn on the fan if needed. You can also place the pot on an island if you have one. I recommend a sturdy surface, out of reach of animals and children. The cord is purposely short so it won’t get tangled and end up on toppling over. I do not recommend using an extension cord for safety purposes. Make sure to place the inner metal pot INSIDE of the appliance before you start cooking. I learned this the hard way. Threw butter right into the appliance before I placed the metal pot in place. Oops. Butter sizzling on the heating element inside of the pot, not good. I unplugged it let it cool for a minute then wiped it out and started again. Are you saying “OF COURSE” the pot goes in before the food! Welcome to my life. The rubber seal aka sealing ring. Very important this is IN PLACE before you start cooking. If the rubber seal/sealing ring is not in place, large amounts of steam will escape and you will be thinking, hmmmm why is this Instant pot letting off so much steam?? The seal must be in place. 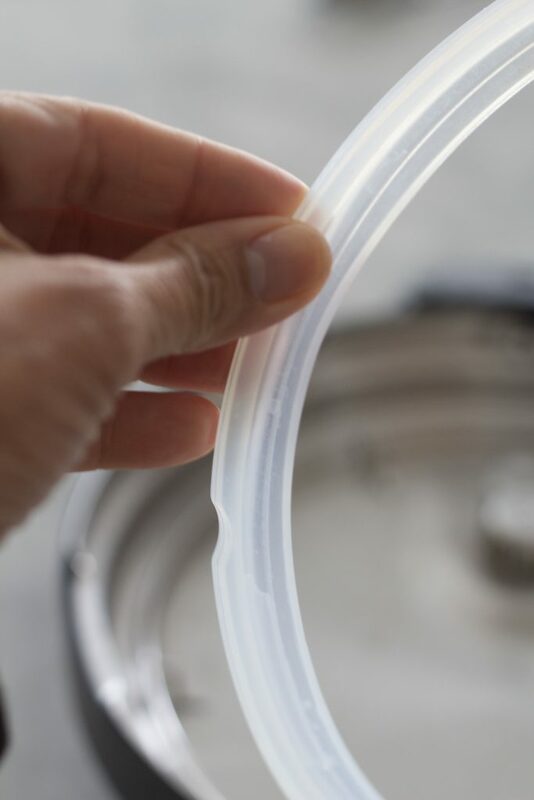 Again, I learned from experience… photo of the rubber ring below. If you are sautéing before using the pressure cooker setting, do not close the lid. Too much steam will be trapped in the pot and you won’t be able to achieve the browning effect you’re looking for on your meat or veggies.. The sauté setting is very high, and doesn’t take long to give a nice brown appearance to your food. The sauté mode may be cancelled at any time by pressing the “keep warm/cancel” button. Opening the pot after pressure cooking. If the word “Lid” appears on the display, the lid needs to be closed or opened to continue. When opening the pot or releasing steam, be very careful. Do not put your face over the pot, the steam releases at a very high temperature. I use a dish towel or cloth when releasing steam if necessary. After the cooking program has finished, do not try to open the pot until the steam/pressure has been released either naturally, by letting the pot cool down or (carefully) turning the valve to the “release” mode. There are also safety measures built into the pot to prevent opening before the pressure is released! Now you’ve unearthed the Instant Pot you’re ready to go. I think you’re going to love so many things about this small appliance. Pressure cooking has many health benefits, including preserving vitamins in foods because of the speed of pressure cooking. I love the one pot, less mess in the kitchen benefit of using the Instant Pot as well. 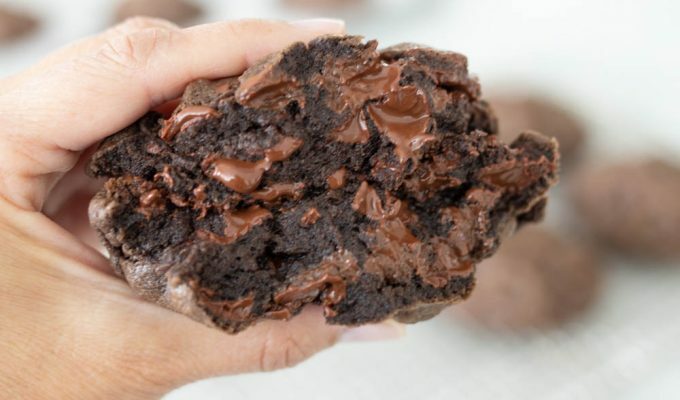 No boiling over in the oven or stove! In the next few days I’m going to share a few recipes we love using the Instant Pot. Most of the recipes take about 1 hour and 15 minutes to 1 1/2 hours start to finish, but most of that time is cooking in the pot. I hope this introductory tutorial to the Instant Pot has been helpful and answered a few of your questions and helped to take the mystery out of using the Instant Pot! Si- This is so helpful. I texted you (which I’m sure is annoying, please forgive me), because of the thing you very first talked about- the heating up. That is what is and was so confusing to me. But you’ve helped me so much in understanding that part. I made a recipe last night that I found on Pinterest and it didn’t turn out at all. It was a breakfast casserole type. Have you tried anything like that? I haven’t made a breakfast casserole in the IP yet… I’m not sure this is the best way to cook a breakfast casserole because it would not brown at all and Im all about the appearance as well as the taste factor! I believe the IP is best used in situations where the food usually benefits being cooked low and slow, such as tougher cuts of meat, or chicken (see the “How to cook frozen chicken in the instant pot”) not so much for dishes that cook in the oven in an hour or less. That said, I’d love to know if you experiment with breakfast casseroles and if you have success! Thanks for being a loyal follower Amy! I live alone so wanted a smaller Instant Pot and received a 3 quart one as a gift – all the recipes I see online are for the larger 6-8 qt pots – I don’t know if I should decrease the amounts of foods and liquid and the time cooked too – do you know what I should do? I have not used the 3 quart model, only the 6 & 8 qt. I would try just cooking the same amount of time and liquids. I do the same with the 6 & the 8 qt. I am curious to know how you handle the 3 qt. Let us know! Hi, Si. I’m finally getting on the Instapot wagon and winder which size I should buy. Me and my husband have 4 young kids. So with their being 6 of us, should I buy the 6 or 8 qt? Thanks! The 6 Qt. Instant Pot can cook a whole chicken, a pound of dried beans, hard boil 9-10 eggs, and can cook 8 chicken breasts for shredded chicken. The 8 qt is even larger so it can accommodate more. Think about how much you cook and what type of cooking you do. Do you often entertain? Do you meal prep for multiple meals? Do you cook one large meal and freeze half for later? Consider your family size and the age of your children. I hope these guidelines help you! Let me know what you decide to buy and which recipe you try first. I love my IP!